Capt. James has been running the trips lately with great numbers and limits before noon. 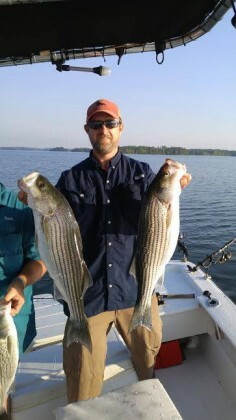 Book a trip today for some great striped bass action in SC. 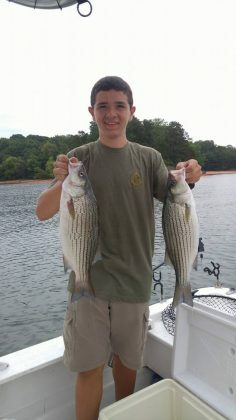 Had Ronnie and Kevin down for some really good striper fishing. 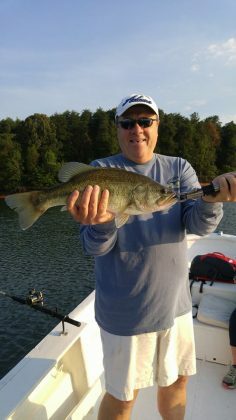 Trying to get ahead of the holiday crowds that are coming and the fish are cooperating with good topwater and down-line fish. 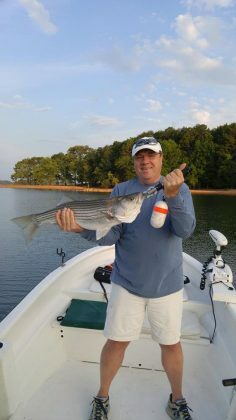 They aren’t everywhere, you have to burn some gas, they move through an area so quickly sometimes it carries them out of sight faster than your trolling motor will run. We had doubles, triples and big blowups, ahhhh if May would just last all year. 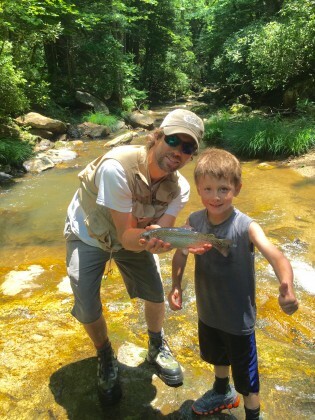 Trout have been a bit off the dry fly the past few days but we still managed to dredge up a Rainbow Trout. Took a party of 2 today. 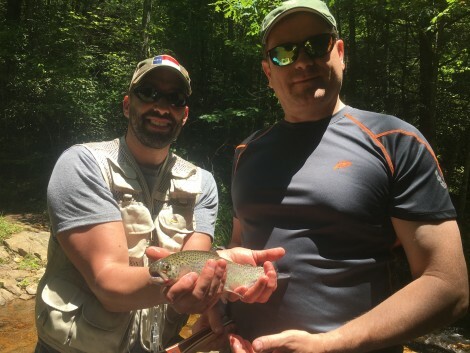 The fishing trip started off well with a good many bites on the dry fly and streamers. Managed 6-7 fish before lunch. Things slowed down with the storms in the afternoon but fun had by all. NOTE: The stream we fished was really low preventing us from fishing some of the best holes. Up-Close Outfitters, with help from some our partners and friends, has been stocking some our private waters the last few day. 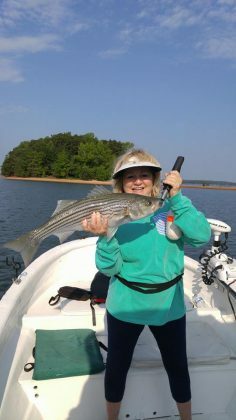 With over 200 fish stocked up to 24 inches we can guarantee plenty of great fishing for everyone. 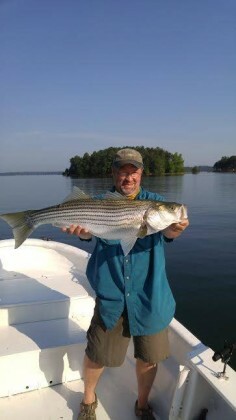 THE FIRST THREE CLIENTS TO BOOK THE MONTH OF JUNE AND MENTION THIS PROMOTION WILL RECEIVE 20% OFF ANY FLY FISHING TRIP !